The hygienic design of your cheese greater is of optimum importance, and is a facet that few brands achieve well. TThis product has a flat design that allows both sides to be cleaned thoroughly by hand and in the machine. Its edges are sealed so that food particles cannot collect, removing a major flaw in many other units. 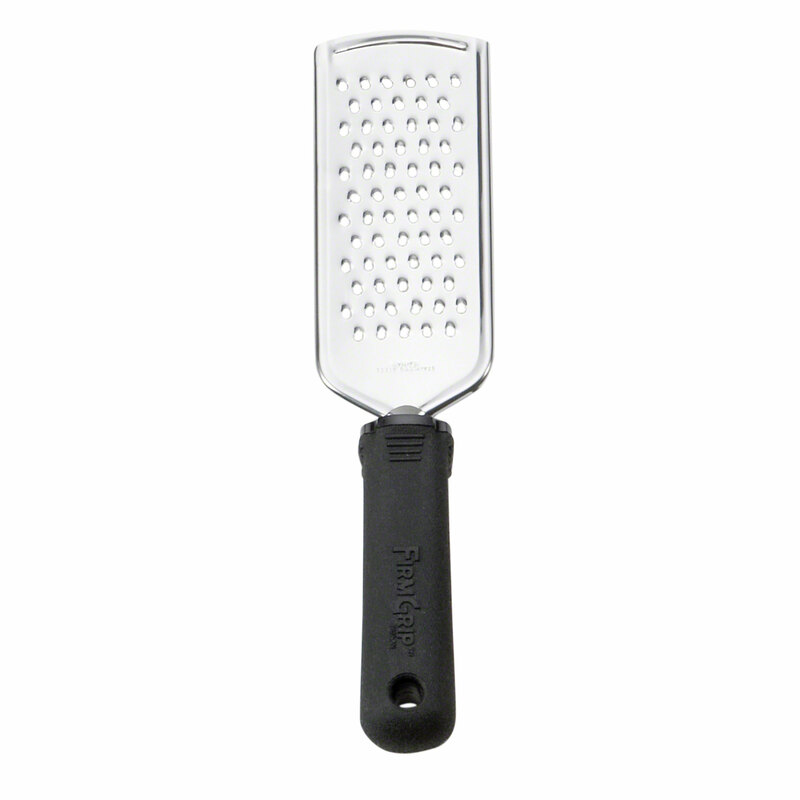 Whether it is a dash of lemons or a light sprinkling of cheese, a hand grater makes the job easy and quick. Â An ergonomic santroprene handle has a texture that improves grip, keeping your kitchen staff comfortable and safe from cuts. A convenient hole in the handle allows it to be hung in accessible places over workstations.